The Hydréa London Japanese Style Sisal Back Strap is a 40cm long strap, ideal for scrubbing and exfoliating those hard-to-reach places like your back. It comes complete with cotton rope handles for easy usage and hanging after use. 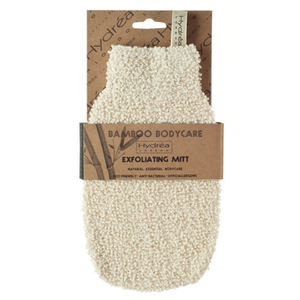 Scrub up a treat with this range of sisal exfoliators, leaving your skin utterly blooming. Made from the crushed leaves of the agava cactus, this Hydréa London Japanese Style Sisal Back Strap ideal for perking up lacklustre skin. It sheds a lot, but apart from that seems to be quite robust, especially the handles. I am using it for dry brushing on the back, where I can not reach with the ordinary brush. It does the job well, my skin feels in tone after. It does the job well. My back is silky smooth now. But it is a bit too harsh. And it does shed. Bought this after trying other long handled back brushes and back exfoliators which always seem too long/wide to use in a shower cubicle. I deliberately selected this in the shorter length when I saw it and I am so pleased I did! The bristles are much more effective than I thought they would be (from the picture I wondered if it might be too soft). Excellent product and excellent value. If you need to keep on top of exfoliating your back, look no further! You may find it loses a few 'needles' like a Christmas tree, but that doesn't put me off as it works so well!